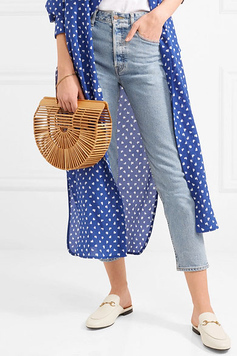 Straw bags are everywhere lately! I first saw cute basket bags and woven handbags in Bali’s Ubud shopping markets and since then, I seem to find them everywhere. If you love the woven basket trend as much as I do – don’t worry! You don’t have to travel all the way to Indonesia to find them. In fact, after I did some research, I realized that even though they became popular in Marrakesh and Bali, Jane Birkin was the first to wear the woven basket trend. In the 70s, she was photographed all over Paris carrying a small wicker basket as her handbag and they became known as the ‘Jane Birkin Basket’. 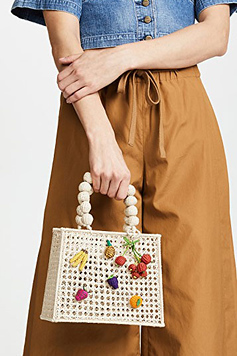 Here are some summer handbags made from raffia, straw and wicker in all different sizes, colors and price points. 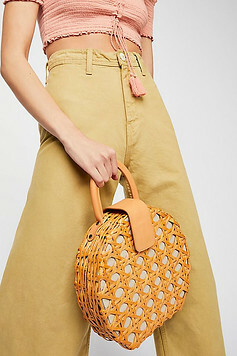 I think my favorite are the straw crossbody bags because then you can be hands free, but the Kate Spade wicker purses are a close second because they always make them in such cute shapes!